Buying a new home is no simple task. In fact, for many people, a home is the largest purchase they’ll make in their entire life. That said, the road to closing on a home is fraught with twists and turns that can throw off the even the most experienced investor…but don’t get scared away. Here are a few steps you can take to keep the process simple and direct. Your credit score is a strange number formulated by the mysterious Trinity of Equifax, Transunion, and Experian—the three behemoth credit reporting agencies. However, there are some basic facts about credit that even the everyday consumer can understand. In order to get approved for optimal home financing, you need to have good credit. Maxed out credit cards, late payments, high percentages of utilization (basically, how much have you borrowed compared to your overall credit line) all negatively impact your credit score. As you approach your home buying experience, you’ll want to make sure your credit cards are paid off as much as possible. You may think it’s best to attack them one at a time (and that might be true) but when it comes to analyzing your credit, lower usage on all your cards looks better than having one card paid off while the others are maxed out. Another reason paying off your cards is important is that the minimum payments you make are factored into your monthly expenses by your potential lender, and if they don’t think you can afford a monthly mortgage payment to them, they won’t approve you. Figure out how much you’ll be able to afford each month for a new home. If you’re moving to a different city or state, the picture gets a little more complex, because you’ll also need to factor in the cost of living. Once you’ve got that number figured out, you’ll have an easier time browsing for homes. Many websites like Zillow will actually show you how much a monthly payment will cost, so you can filter out homes beyond your price range. Don’t forget to factor in taxes and insurance! If you want to secure the best possible interest rate on your mortgage, you’ll want to put down at least 20% as a down payment. But if you can’t quite afford that, don’t fret, because most people put down less anyway. There’s even a government-backed loan called an FHA loan where you can put down as little as 5%. Other types of VA loans (for veterans) will also allow for lower down payments, and there are many special perks for first time home buyers. If you’re a first time home buyer, and even if this is your second or third home, you should consider enlisting the services of a qualified, experienced real estate agent. A good agent knows the area like the back of their hand and the ins and outs of the home buying process. They’ll know how to negotiate a contract in your favor, and they’ll tell you what to look out for. You may not think having an agent is necessary, and that it’s an added expense, but most often, their commission is paid by the seller. A good agent who knows what they’re doing can really help you get settled into the perfect home. You should meet with a loan officer to see what you can afford, and what financial institution is willing to offer you a home loan. Ask around your social circle to see if anyone has a good recommendation, and scout around among the banks to see what they can offer you. If something seems predatory or scammy, ask a friend or trusted advisor to weigh in, because unfortunately, predatory lending practices do exist. Getting a letter of pre-approval for a mortgage can be an excellent negotiating tool that shows you’re serious about buying a home. There’a good chance that the seller of your potential new home has received other offers, so a letter of pre-approval shows that you’re interested and able to move quickly. As your shopping for a home and waiting to get approved for a mortgage, don’t make any major life changes regarding your finances. Definitely avoid doing anything with your credit, like buying a new car, opening a new credit card, or making a huge purchase by swiping the plastic. Because of the housing bubble that popped around a decade ago, the lending climate today is very tight-fisted, and one wrong move could scare away your potential mortgagee (the one giving the loan). So what do you want in your new home anyway? Sunroom? Pool? Multi-car garage? Vinyl windows? Vinyl siding? Custom-made doors? Make a list of the things you must have, the things you can compromise on, and the things you don’t necessarily need because you’re going to have to balance out your desires with a number of other factors such as the price of the home, the neighborhood, and the seller. But at the very least, having an idea of what you’re looking for will go a long way toward steering you in the right direction. Remember that cartoon about the private eye who was also some sort of dim-witted cyborg? You don’t want to bumble your way around a home inspection as he did around mystery-solving, because his clever niece Penny won’t be there to rescue you when the home you just bought ends up needing tens of thousands of dollars in repair work because you didn’t get it inspected. The law varies states to state, but many states have a caveat emptor outlook, which literally means buyer beware. It’s up to you as the buyer to get your potential future home inspected. If there’s one step that needs special emphasis and celebration, this one is it: do NOT buy a home without having it inspected by a professional first. The building inspector will look at the building and its systems overall (electrical, plumbing, etc.) and let you know if there are any issues with the structure, or if they recommend bringing in a second expert to look at something specific, like a plumber or an electrician. Remember, you cannot rely on the seller to give you full disclosure. Even if they think they’re being honest, there may be things in the home they didn’t know about, such as work done by a previous owner. This is where having an agent comes in handy. From submitting your offer to negotiating the closing proceedings, there’s a lot of paperwork and legalese that gets tossed around, and it also varies state to state. 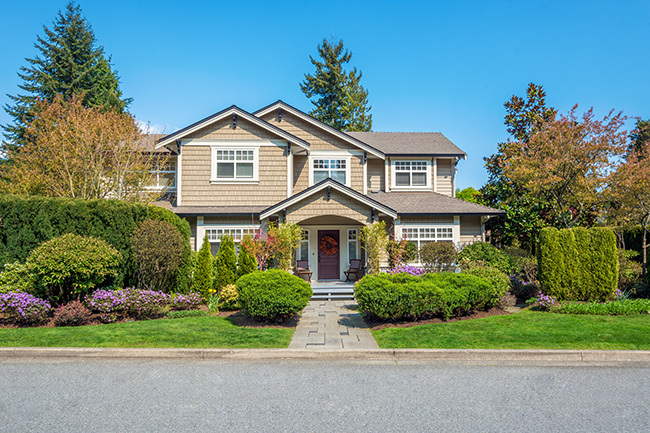 Again, since a home is the largest purchase you’ll probably ever make, you want to make sure a qualified professional is setting up the contract and negotiating the best terms with the seller. Often there will be a little bit of a back and forth between the seller and the buyer. When the two parties finally agree on the price, and the buyer gets approved for a mortgage (a process that can take 45 days to a few months), everyone will gather around for the closing ceremonies. At this roundtable, deeds and documents are exchanged, and the title of the home is passed over to you, the buyer, while the funds provided by the mortgage are passed over to the seller. Buying a home seems relatively straightforward, but it’s actually a lengthy process with many steps. Make sure you’re dealing with qualified experienced professionals—like mortgage officers and agents—along the way who can help you assemble a comprehensive checklist to cover all points in this process. 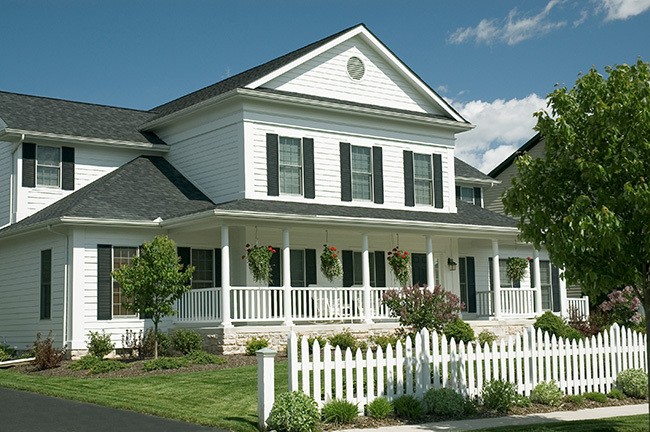 When it comes to buying a new home, you’ll want to check windows, siding, and doors. One of the least attractive home features that buyers don’t want to spend extra money is on warped wooden windows, drafty doors, and bulging siding. At Feldco Peoria, you can replace your windows, siding, and doors with durable and cost-efficient options that people are delighted about. In fact, over 350,000 customers across the Midwest are happy with their high quality and energy efficient products, and the professional installation that guarantees exact measurements to ensure the best fit and maximum energy efficiency. Speak to a product specialist and get a free quote today.